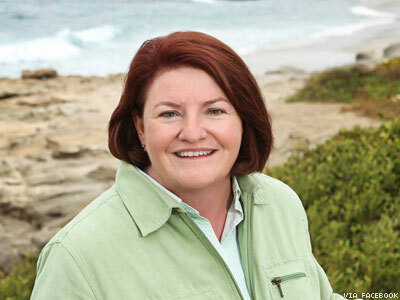 California's lesbian Assembly speaker, Toni Atkins, tells us why she was compelled to author the Respect After Death Act. Back in May, as I was preparing to join friends and colleagues for San Diego’s annual Harvey Milk Day celebration, I got the news that a local transgender teenager had committed suicide. That terrible news meant that in six weeks we had lost three bright, sweet transgender kids to suicide: Taylor Alesana, Sage David, and Kyler Prescott. They had friends, allies and supportive families. Yet they still suffered enough that they took this tragic step. Studies show that LGBT youth are more vulnerable to suicidal thoughts and suicide attempts than other young people, and more likely to be victimized by threatening or bullying behavior. And transgender people of all ages suffer disproportionate discrimination and violence in our society. As we celebrate Pride this summer, our community must also recommit to ensuring that our fight is not finished until every one of us can live openly, without fear and with the full and equal protection of the law. And while the experience of Caitlyn Jenner and the exposure of media hits like Transparent and Orange Is the New Black have put issues affecting transgender Americans in the news and all over social media, we need to make sure these issues are addressed in our lawbooks as well. We’re making progress in California, where a new law, AB 1577, goes into effect in July, taking another step forward in helping transgender people live as who they really are. Christopher Lee was an activist who dedicated his life to advocating for transgender rights. As the founder of the San Francisco Transgender Film Festival, he felt it was important that the community gain more visibility and acceptance in mainstream culture. When Christopher passed away in 2012 a dispute erupted between his friends and family about how he should be memorialized on his death certificate. In the end, his death certificate read “female” though he had identified himself and lived his life as a man. In the last few months, a string of deaths of transgender people has been reported across the nation. In San Francisco, the Bayview community mourned Taja DeJesus, a woman who was very involved with her local church. Initial reports had identified Taja as a man, an oversight which authorities later corrected. Some of these stories, and others like them, inspired me to author AB 1577, the Respect After Death Act. Signed into law by Gov. Jerry Brown last year, AB 1577 clarifies legal procedure to ensure that identities of transgender individuals are properly reflected on death certificates. And while the law is just now taking effect, we’ve already seen results. Last December, Ki'Tay Davidson, a transgender and disability rights activist, passed away in his sleep. The Los Angeles Coroner’s office had heard about the Respect After Death Act, and took steps to recognize Ki’Tay as male on his official documents. I believe it is a sign of progress — and promise — that AB 1577 passed the California Assembly with both Democratic and Republican votes. AB 1577 was a companion measure to a previous law I wrote that streamlines the process for transgender Californians who wish to change their gender or name on their birth certificates. Both bills will help ensure folks have official documents that reflect who they really are. And being able to live your life as who you really are isn’t too much for anyone to ask. That’s all Taylor and Sage and Kyler wanted. And it’s what Christopher and Ki’Tay and so many others have dedicated their lives to. All of us in the LGBT community have experienced the feeling of “otherness,” living under the magnifying glass of difference. I know I certainly did growing up in rural Western Virginia. Like many of us, I was able to channel those feelings and frustrations into activism for justice and equality. If growing up someone had told me that I could be elected speaker of the Assembly, with my spouse, Jennifer, at my side, I’m not sure I would have believed them. But thanks to the movement I am so proud to be a part of, and because of all those whose struggles made my path easier, it came true. And as I join again with friends and colleagues to celebrate Pride and acknowledge the gains we’ve made in areas such as marriage equality and military service, I know I will use this position — and any I hold — to keep pushing until everyone who is “other” in our society is safe, accepted, and free. 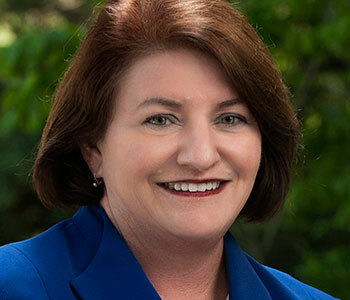 TONI ATKINS is the speaker of the California Assembly and proudly represents the 78th Assembly District, which includes coastal San Diego, from Imperial Beach, along the Mexican border, north to Solana Beach, and most of central San Diego. She is a leading voice for affordable housing, a powerful advocate for women and the LGBTQ community, and champion for veterans and homeless people. Speaker Atkins lives in the South Park community with her spouse, Jennifer LeSar, and their dogs, Haley and Joey.